After a dismal show in the recent Assembly elections, BSP’s Mayawati alleged that the electronic voting machines might have been hacked into by the BJP to achieve fraudulent results. This view has been seconded by AAP’s Arvind Kejriwal and a few Congress leaders. The Election Commission has repeatedly rejected this possibility. The BJP too, when it was in opposition, doubted the credibility of these machines. Soul-searching, and not machine-blaming, is needed. 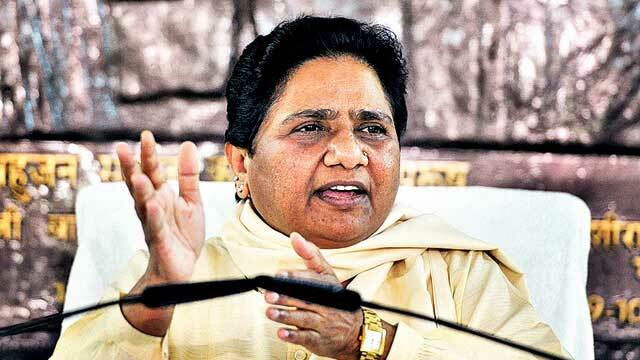 Bahujan Samaj Party (BSP) chief Mayawati on Wednesday decided to move court over alleged tampering of Electronic Voting Machines (EVMs) in the recent Assembly elections, which was dominated by the Narendra Modi led BJP, and found support from Delhi chief minister and Aam Aadmi Party (AAP) supremo Arvind Kejriwal and the principal opposition party, the Congress. Mayawati said the BSP has decided to observe a ‘black day’ every month against the “murder of democracy” by the BJP and charged that the saffron victory in UP smacked of “dishonesty” and “fraud”. Kejirwal said EVM tampering may have led to AAP’s poor showing in Punjab, alleging it could be part of a conspiracy to keep the party out of power in the state. Kejriwal said that before 2014 Lok Sabha polls too even some BJP leaders such as L.K. Advani were not in favour of EVMs. The Congress too said the Election Commission should probe into the EVM tampering charges made by some parties to ensure that voters’ confidence is not shattered and there is no blot on India’s democracy. 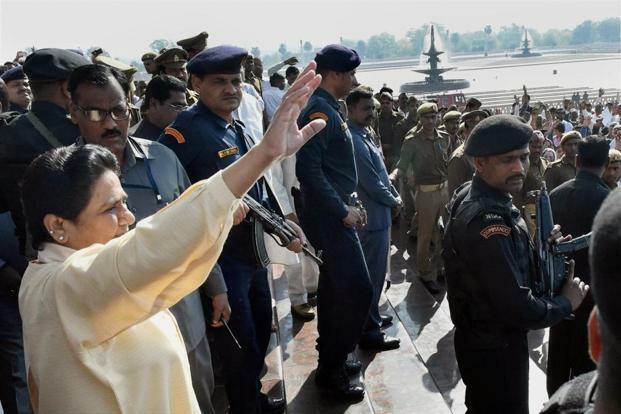 The BJP ridiculed Mayawati’s allegations of EVM tampering and asked her to “gracefully accept the people’s mandate”. “When you win, EVMs are right. When you lose, EVMs are wrong. This shows that there are some defects in you (Mayawati),” union minister M. Venkaiah Naidu told reporters. Why do they think it is rigged? Common perception about EVMs is that they can be easily hacked, the complete profile of a voter can be accessed through EVMs, and EVMs can be used to manage the results of an election. In addition, the EVMs can easily be tampered by an election official. “The manipulation is absolutely clear from the fact that we have received information from counting agents that in several polling booths where more than 40% to 50% Muslim votes were there still almost all votes are being shown to have been done in favour of BJP,” she added. BSP was decimated in the recent Assembly polls in UP where it finished a distant third winning 19 seats in the 403-member House while the Aam Aadmi Party(AAP) making a debut in Punjab bagged 20 seats in the 117-member Assembly. The AAP chief claimed that around 20 to 25% of its votes may have been “transferred” to the SAD-BJP coalition (which lost the elections) . Since when have EVMs been used? Electronic voting systems for electorates have been in use since the 1960s when punched card systems debuted. Their first widespread use was in the USA where 7 counties switched to this method for the 1964 presidential election. In India, the machines were first introduced in 1982 in the bye-election to Parur Assembly constituency of Kerala for 50 polling stations. EVMs have been part and parcel of elections in India since 1999 and were adopted across all polls from 2004. Electronic Voting seeks to reduce time in casting vote and declaring results. Of course, from an environmental point of view, it helps save paper. The machine can record 64 different candidates at one point of time. The maximum number of votes that can be recorded in one machine is 3,840. In response to a petition by BJP leader Subramanian Swamy that the Supreme Court had asked the EC to introduce the VV path or voter verifiable paper audit trail, where a printer is attached to the EVM. When voters press the button of their choice, the name comes up on the screen for six seconds for them to see it. Then the paper slip goes automatically into a sealed box. Any accusation of rigging can be proved if the result of the machine and slip is not the same. The VVPAT system is being introduced in a phased manner and is likely to be achieved by 2019. On a national level, the system was introduced in 8 of 543 parliamentary constituencies during the 2014 general elections. It was used in 516 polling stations across eight states. The system was first experimented in 2013 Nagaland by-polls. Besides ensuring free and fair polls, this was done to resolve disputes over the reliability of EVMs, if any. Where are the possibilities of tampering? Electronics Corporation of India Ltd and Bharat Electronics Ltd are the two PSUs which manufacture the EVMs for EC. An EVM is an electronic devices used to record votes. They are made up of two machines — one is the control unit and the other balloting — and joined by a five-meter cable. While a presiding/poll officer is in charge of the control unit, the balloting unit is placed inside the voting compartment. According to the Election Commission, instead of issuing a ballot paper, the officer in-charge of the control unit presses the ballot button. It is then ready for a person to cast vote by pressing the blue button on the balloting unit against any candidate and symbol of choice. The machine is supported by battery and without any network connectivity — a big reason to believe that EVMs can't be hacked online is that these machines are not connected to internet. Every EVM has an identity number, which is recorded in the Election Commission’s database. Before the counting of votes begin, the ID is cross-checked against the database to ensure there's no foul play when it is being transported to and from polling booths. Also, the machines are guarded by central forces between the period of voting and counting. As far as the counting of votes is concerned, the presiding officer hands over an "account of votes recorded" to each polling agent once the polls draw to an end. During counting, the agents tally the total with these accounts to check any discrepancy. Also, results are displayed by pressing the "results" button. This button is usually sealed and cannot be pressed unless the presiding officer presses the "close button" at his end. Many reports have surfaced in the past as well that a small chip with a bluetooth connection can be inserted into the machine and it's possible to control that chip from a mobile phone to manipulate results when a vote is being cast. However, it seems impossible that such chips can be inserted in so many voting machines. And even if we assume that's possible, it would require the involvement of hundreds and thousands of people, including central and state officials, at different stages. Again, if that happens, it will be impossible to keep such a malpractice a secret because of the sheer number of people involved. Also, when the machines are ready to be sent to polling booths, it's not EC officials (or any other human beings) who decide which machines will be sent to a particular constituency. It's done through computerised random selection. To ensure further safety, mock polling is done before elections to test the EVMs. Moreover, representatives of all political parties are invited a few months before an election. Then after the final candidate selection is done — 13 days before the polling date — the machine is again tested in the presence of the candidate or party agent. All those present have to sign a certificate that the EVMs are in order. Once the machines are in the field, elaborate checks are put in place to ensure there is no malpractice. On the day of polling, a mock polling is done for an hour in every polling station where 60-100 votes are polled to check if the buttons are working right and not rigged in favour of any political party. 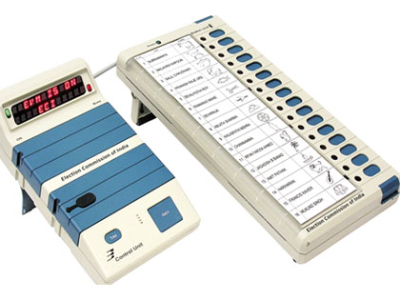 The EVMs cannot be programmed to favour any party because the buttons on them are not permanently fixed in the names of political parties, but in alphabetical order of names of candidates. So, for example, a BJP or Congress name can go up or down according to the candidate’s name in every constituency. 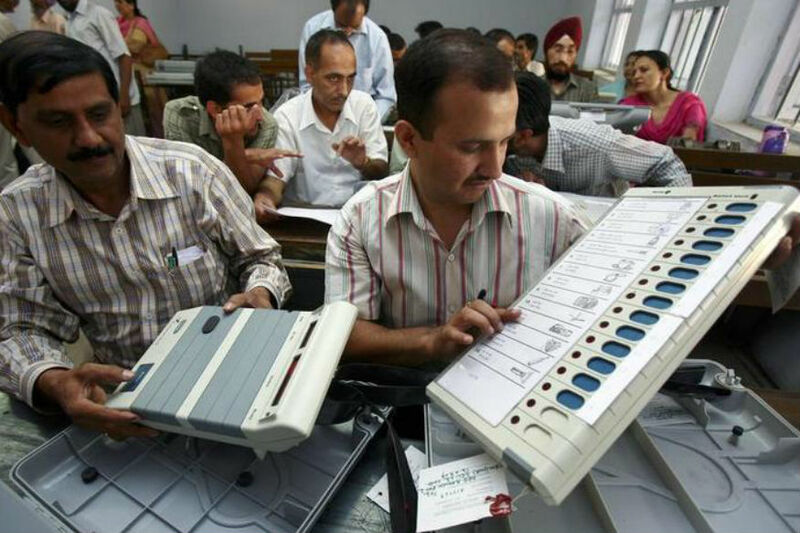 India's electronic voting machines are considered to be among the most tamperproof in the world. There is no software to manipulate - records of candidates and votes cast are stored on purpose-built computer chips. It is true that all electronic machines have a potential to be manipulated or to go wrong. However, the chances of manipulating thousands of EVMs to influence elections results in one particular way seems quite difficult. The electronic voting machines are "fully tamper-proof, as ever", the Election Commission said dismissing claims of BSP supremo Mayawati and Delhi Chief Minister Arvind Kejriwal who had questioned their reliability. In a strongly-worded statement, the Commission said "baseless, speculative and wild allegations are being made which deserve to be rejected". The poll panel said it did not receive specific complaints or concrete material from political parties and candidates about alleged tampering of EVMs during recently held election process. It said the BSP’s representation on EVM tampering was without any specific allegation and it had rejected the claim of the party. “Such concerns about alleged tamperability of ECI-EVM have been raised earlier also since their introduction including before high court and the Supreme Court. These allegations have been dismissed. ECI unequivocally reiterates that given effective technical and administrative safeguards, EVMs are not tamperable and integrity of electoral process is preserved,” it said. After the 2009 elections, Hari K Prasad of NetIndia Private Ltd took the lead in demonstrating that tampering was possible by `dishonest election insiders or criminals with only a brief physical access to the machines'. The research was a joint effort of University of Michigan, a team of NetIndia and a security researcher Rop Gonggrijp of The Netherlands. The research paper - Security Analysis of India's Electronic Voting Machines - stated how EVMs were vulnerable to attacks and suggested what could be done to make elections transparent. "There should be more transparency. 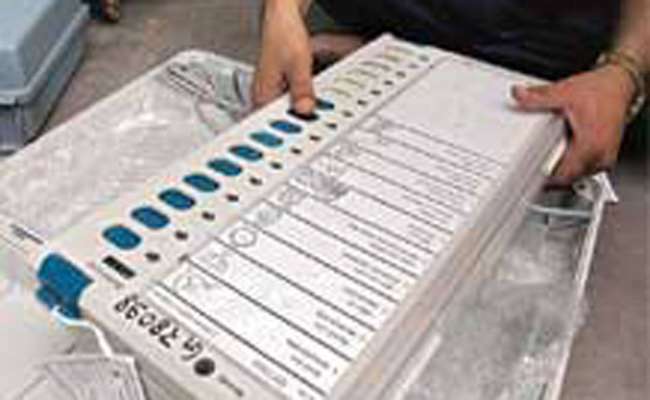 The design and code of the chip in EVMs should be made available for scrutiny by anyone," Hari Prasad said. For his research, Prasad received 2010 Pioneer Awards instituted by Electronic Frontier Foundation, San Fransciso. When Prasad got access to an EVM and was ready to display how fraud could be perpetrated, he was arrested on charges of EVM theft. ECI later withdrew the case. The man in the forefront of `exposing security flaws' in EVMs in 2010 was G V L Narasimha Rao, who also wrote a book on how EVMs could be tampered with. Rao who hails from Hyderabad, is now national spokesperson of BJP. India's Deputy Election Commissioner, Alok Shukla, said even getting hold of machines to tamper with would be very difficult. Moreover, for their system to have any impact they would need to install their microchips on many voting machines, no easy task when 1,368,430 were used in the last general election in 2009. EVMs can be hacked is a threat that has been given air not only in India, but in many other countries, which is why a number of them have banned the voting machines. Countries where EVMs have been banned include: Netherlands banned it for lack of transparency, Ireland, after three years of research worth 51 million pounds, decided to junk EVMs; Germany even declared EVMs unconstitutional and banned it. Italy also dropped e-voting since its results could be easily managed; in the United States, California and many other states banned EVMs if they did not have a paper trail. Venezuela, Macedonia and Ukraine stopped using EVMs after massive rigging was found; England and France have never used EVMs. How should the parties read the results? All political parties have criticised EVMs only when they have lost elections. Five days ahead of the Delhi Assembly election results in February 2015, Arvind Kejriwal had tweeted about possible tampering of EVMs. He did not pursue his allegation after the same EVMs registered a record mandate for his party, which won 67 out of 70 seats. Similarly, while the BJP seems happy with EVMs today, before the 2014 general election, it had alleged tampering on many occasions — in fact, BJP spokesperson GVL Narasimha Rao had even written a book titled ‘Democracy At Risk! Can We Trust Our Electronic Voting Machines ’ with a foreword by L K Advani. And now, those who have questioned the mandate include some of the biggest losers in the assembly elections in Uttar Pradesh, Punjab and Uttarakhand. It is understandable that Mayawati, Harish Rawat and now Arvind Kejriwal are reeling from the scale of the defeat they have suffered. Rather than being gracious in defeat and conducting some soul-searching into the reasons, the specter of electronic voting machine tampering raised by some of those who were rejected by the electorate is a dangerous development. Mayawati does not need to look any further than the limited appeal of her party beyond certain social groups like the Jatavs and to a lesser extent, Muslims. Rawat contested two seats, evidence of a wavering confidence, and knew he had lost the sympathy factor after the BJP unseated him last year to anti-incumbency sentiment. Kejriwal’s failure to project a chief ministerial candidate and the alleged wooing of Khalistani supporters worked in the Congress’ favour. His allegation is difficult to comprehend because the party he accuses of tampering the machines - the BJP - lost the Punjab elections miserably. The leaders should introspect and objectively analyse why they lost so badly instead of allegations with no proof. However, if any specific allegation with material facts is presented before the EC, the same should be looked into with all seriousness on administrative sides. The politicians making wild allegations may be looking for a face-saving escape route but the damage they do to the sanctity of the election process is incalculable. In the future, this could lead to chaos, violence and political instability. It is the smooth transfer of power has preserved Indian democracy for 67 years now.